Lakshadweep Administration Recruitment 2019 - Below are various recruitment notifications published by Union Territory of Lakshadweep / www.lakshadweep.nic.in. As of now, we don't have any active recruitment notification by Lakshadweep Administration featured here. We may update as soon as the organization announces a new job notification. If you are looking for any information related to previously organized recruitment drives by Lakshadweep Administration, you can browse through previous job notifications mentioned below and get the new updates or information you are looking for. Lakshadweep Administration Recruitment 2019 - Job notification for 11 Football Coach, Warden & Other Posts in Directorate Sports & Youth Affairs, Lakshadweep Administration, Kavaratti, Lakshadweep on Contract Basis. Applications are invited by Union Territory of Lakshadweep on or before 30 Mar 2019 for 11 vacancies. Lakshadweep Administration Recruitment 2019 - Job notification for Data Collector Post in Lakshadweep Administration, Kerala on Contract Basis. Applications are invited by Union Territory of Lakshadweep on or before 15 Mar 2019 for 1 vacancy. Lakshadweep Administration Recruitment 2019 - Field Inspector Posts in Department of Women and Child Development, Lakshadweep Administration, Kavaratti on Contract Basis. Candidates are invited by Union Territory of Lakshadweep to attend walk-in-interview to be held on 06 Mar 2019 11:00 AM for 6 vacancies. Lakshadweep Administration Recruitment 2019 - Job notification for Agriculture Supervisor Posts in Lakshadweep Administration, Lakshadweep on Direct Recruitment. Applications are invited by Union Territory of Lakshadweep on or before 13 Mar 2019 till 05:00 PM for 2 vacancies. 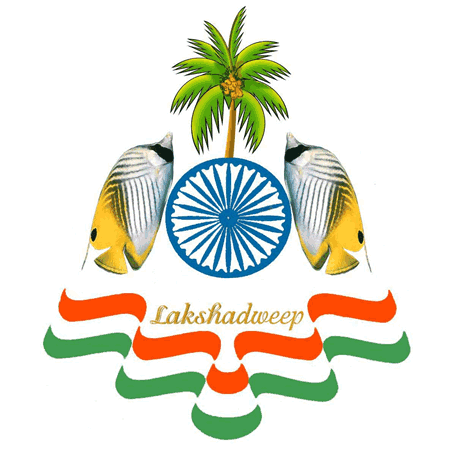 Lakshadweep Administration Recruitment 2019 - Project Assistant & Technical Assistant Posts in Directorate of Fisheries, Lakshadweep Administration, Lakshadweep on Contract Basis. Candidates are invited by Union Territory of Lakshadweep to attend walk-in-interview to be held on 30 Jan 2019 10:00 AM for 2 vacancies. Lakshadweep Administration Recruitment 2018 - Walk in for SPF & PA Posts in Lakshadweep Administration, Kavaratti on Contract Basis. Candidates are invited by Union Territory of Lakshadweep to attend walk-in-interview to be held on 23 Jan 2019 10:00 AM for 2 vacancies. Lakshadweep Administration Recruitment 2018 - JRF Posts in Department of Environment & Forest, Lakshadweep Administration, Kavaratti. Candidates are invited by Union Territory of Lakshadweep to attend walk-in-interview to be held on 22 Jan 2019 10:00 AM for 2 vacancies. Lakshadweep Administration Recruitment 2018 - Walk in for Specialist Posts in Lakshadweep Administration, Kavaratti, Lakshadweep on Contract Basis. Candidates are invited by Union Territory of Lakshadweep to attend walk-in-interview to be held on 04 Jan 2019 03:00 PM for 4 vacancies. Lakshadweep Administration Recruitment 2018 - Job notification for 14 Forester Posts in Department of Environment & Forest, Lakshadweep Administration, Lakshadweep on Direct Recruitment. Applications are invited by Union Territory of Lakshadweep on or before 25 Jan 2019 til 05:00 PM for 14 vacancies.